Last week, Smart Communication launched it’s very first LTE router the Smart Bro Prepaid LTE Home Wifi. In terms of speed, the difference of this Router to the pocket wifi version is its 2x faster than Smart Bro WiFi – simply because it uses dedicate power, bigger specs and connected to a LAN cables instead of usual USB’s or a WiFi connection. Ofcourse, this is also a Wifi ready. It comes with a 10GB of FREE data valid for 7 days, the count starts when you activated the router and the SIM card. The price of this new LTE Router is at P1,995 and you can grab one by buying at the SMART store. Cash on Delivery is also available. The LTE router is powered with 700MHz in which it improved the coverage of indoor usage. You also don’t need additional software or program installation to use the router it’s a plug and surf. It can connect up to 10 devices, 9 on Wifi and the other one is for LAN cable. MAC Filtering, IP/Port Filtering, Content Filtering, Port Forwarding, Virtual Server, VPN Passthrough, Demilitarized Zone, Dynamic DNS, Routing, Wireless Clients, Backup & Restore, System Security, NTP, Bridge Mode, APN Settings, PIN Management and Network Selection. and Other basic settings for Device, Lan, Wifi and Multiple SSID. The speed, we’ve tried speed testing the router and we’ve got a super high speed connection. The download speed we’ve got reached 18.90Mbps and the upload speed reach up to 13.06Mbps. For gamers, we’ve got a ping of 46ms which is already good for online gaming. 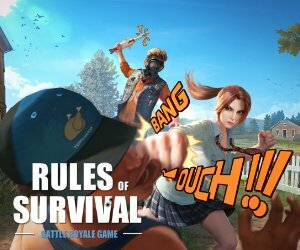 We’ve tried playing PUBG and the gameplay was smooth, some shuttering we’re gone during the game – this is good if you want to play competitive gaming and just subscribe for data plan which uses minimal data for online gaming. The slot for sim uses the regular sim slot (The bigger one). You just open the sim cartridge and place the sim and insert back again. It has a power connection for DC 12volts, One Lan slots, Power on/off switch and a reset button. It has 4 LED light for Power, LAN, Wifi and Signal. The signal light has 4 mode, BLUE light. The router is designed and developed by Evoluzn Inc. USA, which also the developer of it’s other product like pocket wifi. What are the advantages of using this LTE Home Wifi Router? Well there are lots of new potential for using this Wifi Router like for example a backup internet connection, simply connect this router to your existing router and you’ve got a backup connection without changing your IP setup. For desktop user, who wants temporary higher speed for uploading or downloading content. For gamers, who want to play games that has reduce ping for faster connection and eliminates lag during gameplay. Plans and promo’s that you can use for the Smart Bro Prepaid LTE Home Wifi Router, you can choose from the plan below – depending on your needs. Surfmax 50 – Allday surfing up to 800MB/day valid for one day. Surfmax 85 – Allday surfing up to 800MB/day valid for two days. Surfmax 200 – Allday surfing up to 800MB/day valid for 5 days. Surfmax 250 – Allday surfing up to 800MB/day valid for 7 days. Surfmax 500 – Allday surfing up to 800MB/day valid for 15 days. Surfmax 995 – Allday surfing up to 800MB/day valid for 30 days. They also have the Giga Surf option, LTE Prime and Big Bytes, you can check their website for other plans. Flexitime 20 – 2.5 hours of internet browsing valid for one day. Flexitime 30 – 4 hours of internet browsing valid for one day. Flexitime 50 – 7 hours of internet browsing valid for three days. Flexitime 100 – 15 hours of internet browsing valid for seven days. You can also watch our quick unboxing down below! Enjoy. Ask ko lang po what type of sim does this unit take? Can I use a regular sim? Any issues with stability or random disconnections?